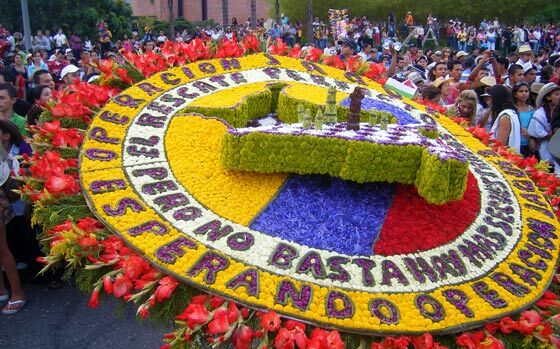 Easily the most important festival in Medellin, La Feria de las Flores combines horse riding, vintage car parades, flower-decorating and copious alcohol consumption. It's a week long affair taking place annually in August, a month in which Medellin typically basks in beautiful weather. On the first weekend the Cabalgata (Horse Parade) is held. A huge stretch of the Medellin's main highway is cordoned off along which hundreds of horses are paraded, although it often seems like the beautifully dressed up paisa girls mounted on the horses are the ones being paraded. That said, most people are too busy getting hammered to ponder the difference. The tipple of choice is a liquor known as aguardiente, an aniseed drink which I personally find repulsive, but is adored by huge numbers of Colombians and foreigners alike. Being the friendly, generous bunch they are, random paisas will often thrust a shot of 'guaro' (as arguardiente is often called) in your direction. Resistance is futile. Due to its immense popularity, the Cabalgata can be a good place to spot famous people. 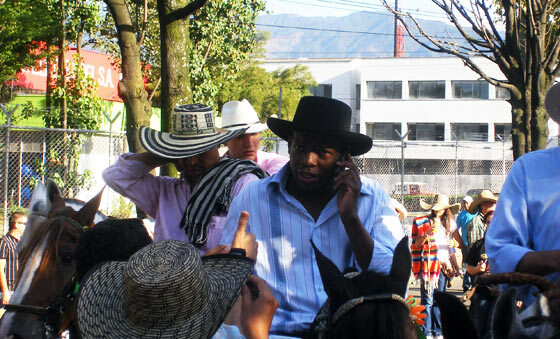 Faustino 'El Tino' Asprilla takes part in the parade every year among many other Colombian celebrities. Another of the popular parades in the Desfile de Carros Antiguos (Antique Car Parade). The route of this parade changes quite frequently, but usually takes place along one of the main roads through the west of the city, often along either Carrera 70 or 80. The parade is not just for car lovers - the occupants dress up in extravagant costumes and the cars themselves are attractively and imaginatively decorated. The festival continues throughout the week with various events such as concerts and shows being held across the city of Medellin. 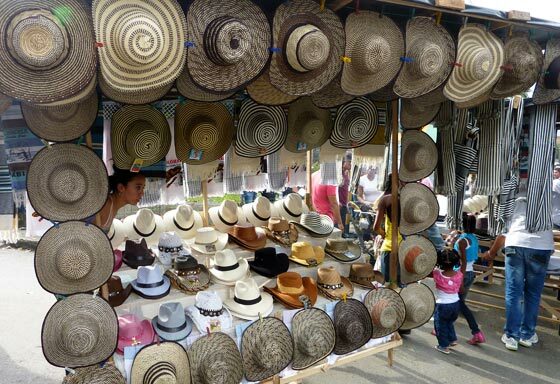 Along the parade routes and at other events, you can find many souvenirs typical of small towns in Antioquia such as hats and ponchos. 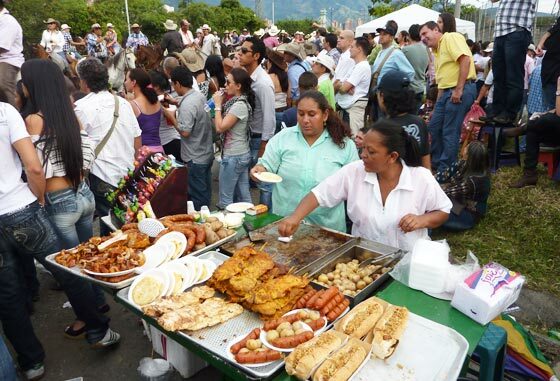 There are also plenty of food and drink stands offering typical Colombian food such as chuzos (meat on a skewer), chorizo (a typical sausage), and arepa (a corn pancake). Alcohol is never in short supply as hoards of men and women drift through the crowds with coolers and ice-filled buckets with cans of chilled beer for sale. 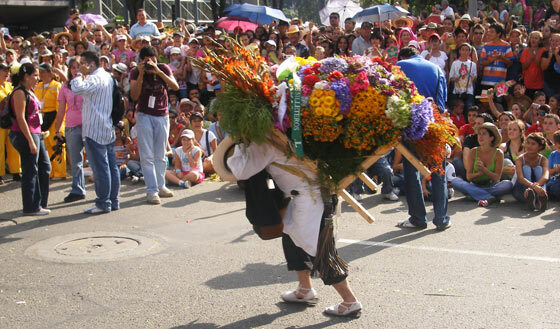 The climax of the festival is the second and final weekend during which country folk known as 'silleteros' (flower-bearers being about the best translation I could come up with) carry huge decorative flower displays (silletas) down from a small town called Santa Elena up in the mountains, to Medellin city centre. Even more astonishing than the beautiful decorations is the fact that they weigh an absolute ton and are often carried by elderly men and women. The Silleteros Parade, Cabalgata, and pretty much all other events at the Feria de Las Flores, are extremely popular, so if you want to get a good vantage point (especially for the Silleteros parade) it's best to arrive early. If you really want a good view at the Silleteros Parade try buying a ticket for one of the grandstands along the route. That way you can turn up whenever you like and still be guaranteed a great spot.